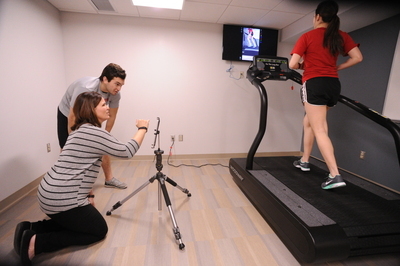 Dr. Payne is demonstrating ipad technology and capacity for research with regard to gait in the Biomechanics Lab in HSS. "Allied Health 27" (2016). All Health and Sport Sciences Images. 164.